The official announcement of the Playstation 4 (or PS4, if you’re cool) late on Wednesday night marks a step forward in console gaming, as gamers begin to take ‘next gen’ seriously. We might already have the WiiU, but most have been waiting for the big boys to show their hand. Sony has kicked the sales race into top gear by teasing the industry with the PS4, not even showing onlookers what the console itself looks like. Is this a masterstroke piece of clever marketing to get people like us overly speculative about the whole affair? or simply because the final look isn’t quite nailed down yet? or perhaps something which is considered to be important? The name ‘PS4’ was widely rumoured to be scrapped for the more minimalist and Apple-esque ‘Playstation’ ahead of the reveal, due to ‘4’ being an unlucky number in Sony’s home country of Japan, but in the end Sony went for the smart option, which is easy for consumers to follow. There’s plenty of new Xbox names knocking about too (Nextbox, Xbox 720, Xbox Infinity, Xbox Loop, Xbox 8) but really everyone is just waiting for some information to see how the two companies stack up against each other. 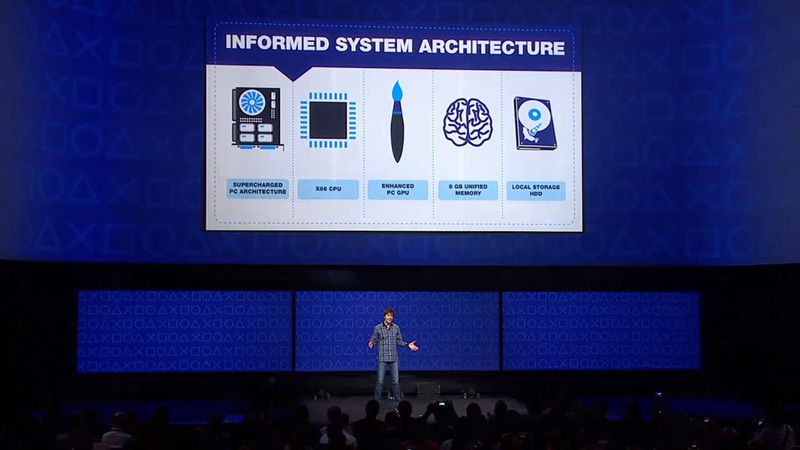 Throughout the announcement the word ‘power’ was mentioned frequently, to an almost dizzying extent at times, and winning the specs race is clearly high on Sony’s priorities. The system boasts 8gb of RAM, a ‘specially optimised’ processor and dedicated high-end GPU – also tailored for the console. Undoubtedly there is a lot of power knocking about, and having a second processor to download games while you play another one is definitely a time-saver. What Sony don’t seem to realise is that though power is handy, gamers aren’t going to be impressed simply by shinier graphics. From the games which have been shown so far, most appear to have a high level of graphical polish, but what gamers are really reaching for are innovative and original gameplay experiences. Enter Halo creators Bungie with Destiny, an always online massively multiplayer game which, following an exciting reveal of its own a few days earlier, has some big ideas about what gamers are looking for. 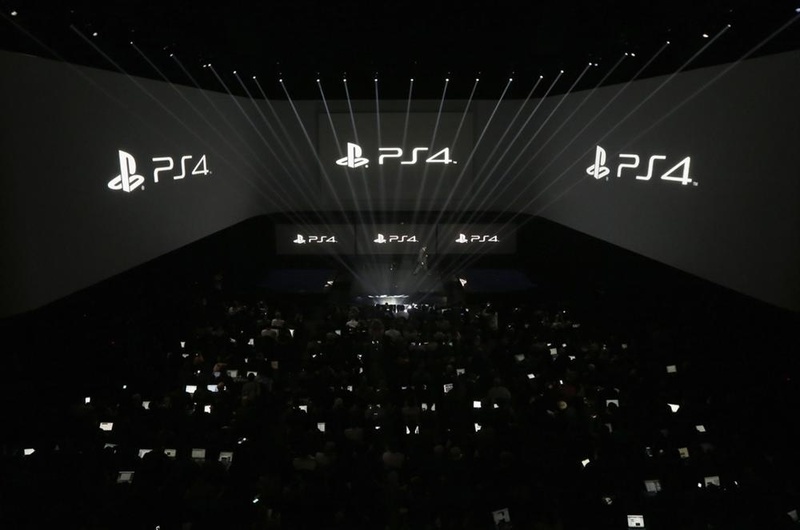 The game promises a lot, including some exclusive PS4 content (did that sting Microsoft? ), but to justify always-online it has a long way to go to compel gamers (especially in the UK). Other games, with only a handful of exclusives, refused to raise excitement levels much, other than Watch Dogs, which continues to look promising (but has since confirmed as multi platform and multi-generation). The controller is the closest we got to the console itself, with a fancy touchpad and a share button being the only noticeable additions to the look and feel. There is a big push to using the PS Vita as a controller, which is a more pocket-sized alternative to the lap tray-esque WiiU controller, and the aim is to have all PS4 games stream-able to the Vita. There is also a lot of cloud-based action with the PS4, thanks to recently acquired expert company Gaikai, and there does seem to be a few nifty innovations there, but nothing we haven’t already seen in a more basic way on other platforms before. 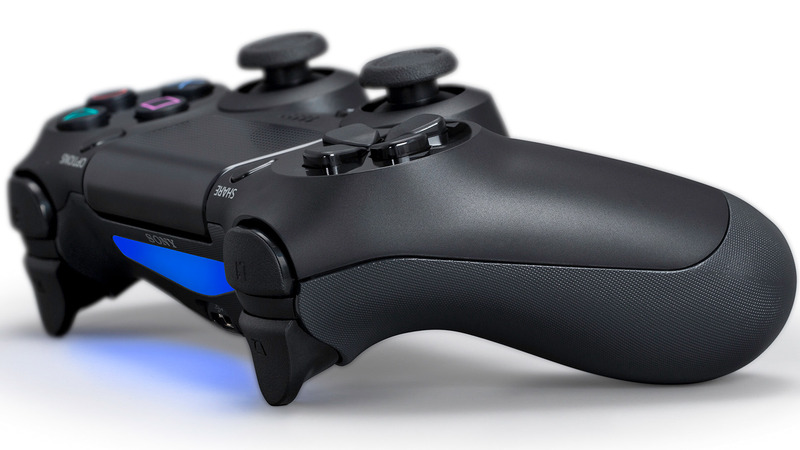 In all there’s a lot to love about what the PS4 will be able to do. The biggest benefit will be one we never see, as the architecture of the console makes developing games much easier than before, but there is sure to be more reveals to come as the sparring between Sony and Microsoft ramps up over the coming months. Strap yourselves in games fans, it’s going to be a bumpy ride. 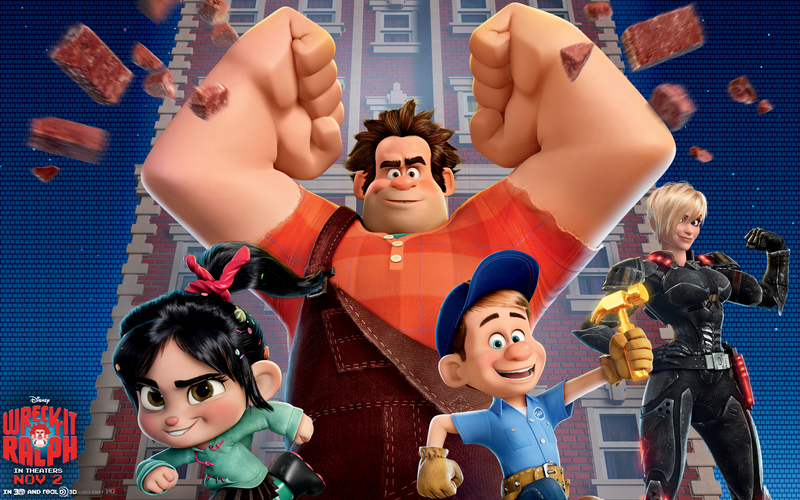 Being compared to Toy Story is no bad thing, and in a sense you could simplify the plot of Wreck-It Ralph to ‘Toy Story, but with games’, but that sells it about as short as Sarah Silverman’s diminutive character Vanellope Von Schweetz. The film uses the past 30 years of computer games as its playground, with anyone who has even a passing appreciation for games able to find something to latch onto, whether it’s as obscure as a sound effect from Metal Gear Solid or as plain as the unassuming paddles from arcade classic Pong. The smashing together of the old and new is what makes the film so special. On the one hand you have traditional 8-bit graphics and music, seen from the players’ point of view as they enjoy titles like Tapper or Space Invaders, and the gaming world, which is rendered in the glorious high-def CGI which will convince Pixar fans this is one of their films. In fact it was produced by Disney itself and directed by Rich Moore, a veteran of Futurama and The Simpsons, and if you listen closely you’ll notice a few familiar voices he has brought along for the ride. The titular Ralph is a nice guy stuck in a bad guy’s skin, complete with comically oversized hands, and longs for fulfilment in his monotonous life. The beauty of the concept is that children and adults alike can relate to feeling stuck in a rut, whether it’s just being sick of school on a Friday afternoon, or feel like the world is against you as plans continuously fall through at work. John C. Reilly plays the role to a tee, with Sarah Silverman providing excellent ingredients for double-act moments, and surprisingly there are moments where you begin to tear up as difficult choices have to be made. Alan Tudyk (Firefly, Death at a Funeral) channels the Mad Hatter, with a dash of Tigger, to create giggling eccentric King Candy as the film’s antagonist, and is endlessly entertaining. The rest of the supporting cast perform well but don’t stand out so much, particularly with all the cameos wrestling for your attention. The plot is as straightforward as you might expect from a Disney flick, but with equal parts action and heart, and plenty to keep you engaged for the almost two-hour run time. Disney are clearly at the top of their game once again with this effort, with the visuals alone a step up from 2010’s Tangled. This film carries the sort of weight you would expect from a series a few iterations down the line, so you can expect sequels to follow. The team unashamedly throw in product placements left, right and centre, but due to the nature of the world they inhabit, they don’t feel out of place or forced at any point. In all, this film is made for gamers, but it doesn’t matter if you don’t consider yourself in that geeky camp. There is more than enough to appreciate with identifiable characters and familiar concepts, beautifully realised with style.